Ever since losing a controversial decision in Pittsburgh in October, Brian Sims has vowed he is done leaving fights in the hands of the judges. 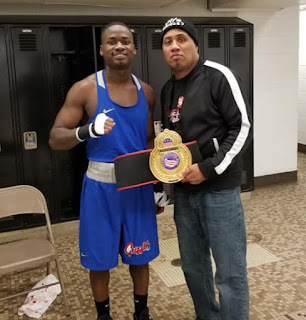 For the second straight fight since that defeat, Sims has stayed true to his vow as the Youngstown State Universty senior who trains at Downtown Boxing Club has scored consecutive knockout victories including a second-round knockout victory on Saturday in Cleveland. Sims, who also celebrated his 25th Birthday this weekend, defeated KC Austen at the Bob Davis Memorial Boxing Show in Glenville to improve his record to 18-9.